Engagement rings are a beautiful and symbolic gesture of love and commitment, an expression of the timeless joy that is to come. At Jack Miller Jewelry Designers we combine the elements of platinum, or yellow, white, and rose gold, with the scintillating brilliance of diamonds and colored gemstones to create unique and artistic jewelry that you can truly say is yours. We, here, at Jack Miller Jewelry Designers create engagement rings with each individual customer’s needs and tastes in mind. We’re not just here to sell you any ring. We take into consideration all about you and your lifestyle, to ensure that the ring we create, the engagement ring that will be worn by you 24 hours a day, seven days a week, is a perfect match. We take into account the concerns of many whose jobs or hobbies might dictate which direction the design takes, and work within those parameters to still design a ring that suits your style. 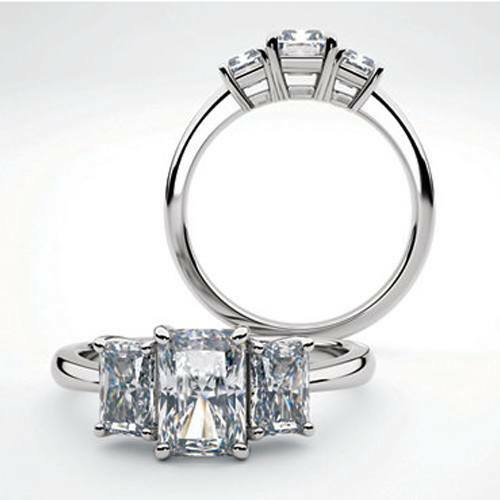 When you leave Jack Miller Jewelry Designers, we want you to feel like you got the engagement ring you wanted, not one that was sort of close, or one you just settled for. We make the process of choosing or designing a ring a fun and educational process. 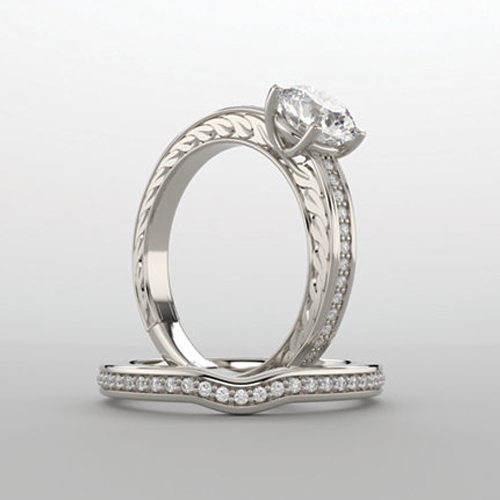 You are involved in every step of the engagement ring’s development from initial drawing, to selecting your diamond (we can even use your own family diamonds, too), presenting CAD 3D rendered models, hand-carved wax models, to the final presentation that will be in the ring box when you propose to your loved one. 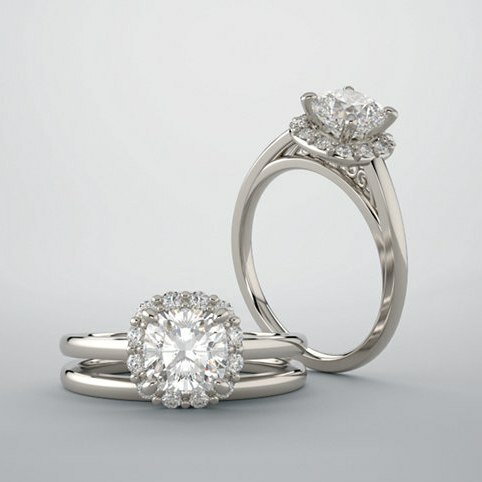 Whether you are looking for a solitaire, three-stone ring, halo, or something completely different and one-of-a-kind, we can design the engagement ring of your dreams, one that can be an heirloom piece passed down to the next generation. Jack Miller Jewelry Designers will be there for you. A solitaire engagement ring, as the name suggests, is one that features a single stone on its own. The metal band of the ring is typically kept as simple as possible, delivering an elegant effect that showcases the stone. Diamonds are far and away the most common choices for solitaire rings, but they are by no means the only option. Jewelers create a range of different solitaire engagement rings using stones like emeralds, rubies, sapphires, and tanzanites. The solitaire diamond ring is a very safe bet for engagement rings unless the bride-to-be has a known distaste for diamonds. This is a particularly excellent design for showing off an impressive stone. Unlike some other styles, with a solitaire engagement ring, all eyes are drawn to the stone itself. 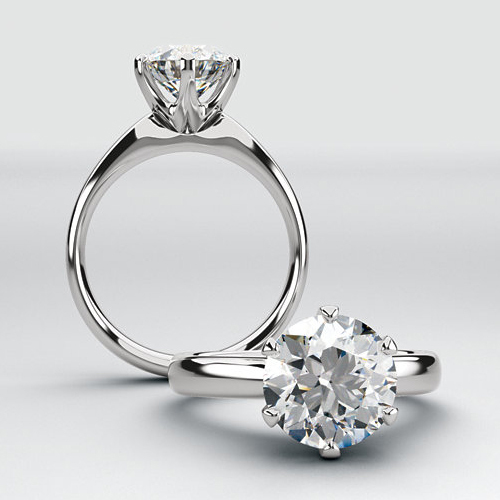 With a halo engagement ring, a central stone is surrounded on all sides by smaller stones. This effect is usually created using all diamonds, but other stones can also be substituted. The chief advantage of a halo ring is that it appears to magnify the central stone and create a much splashier appearance than a solitaire. It is, essentially, a more glamorous version of the bezel setting. A properly-designed halo ring will actually use the surrounding diamonds to reflect more light off of and into the central stone. This will emphasize and enhance both the size of the stone and its brightness. A three-stone engagement ring is a very interesting choice, one that usually brings an extra air of refinement and class to your jewelry. If you’re looking for a ring that stands out in a great way and looks exceptionally chic, selecting a three-stone ring is an excellent idea. Beyond the beauty of the metal band and the stones selected for the ring, a three-stone ring also tells a beautiful symbolic story. The three stones represent the three critical parts of a loving relationship. The first stands for the past, when the lovers first met. The second stands for the present, when the pair exchange vows and declare their love. The third stands for the future and the happy life the new couple will share. The vintage engagement ring actually falls within a very carefully-defined age bracket. Jewelers consider any ring that is between 30 and 50 years old to fall into the “vintage” category. Some couples choose even older rings; these are technically known as “antiques.” Both categories offer some distinctive flair, typically including larger stones and more ornate designs. The sheer breadth of different styles available under the “vintage” umbrella is what attracts most fans. A lot of brides consider vintage rings to be more individual than mass-produced modern rings. The stones in vintage engagements rings are often exceptionally high quality, too. Picking out a vintage engagement ring represents a lot of thought invested in the quest to match the bridge with the perfect ring, and it’s often the start of a terrific marriage. Symbolize your love in a unique way with a two stone engagement ring. 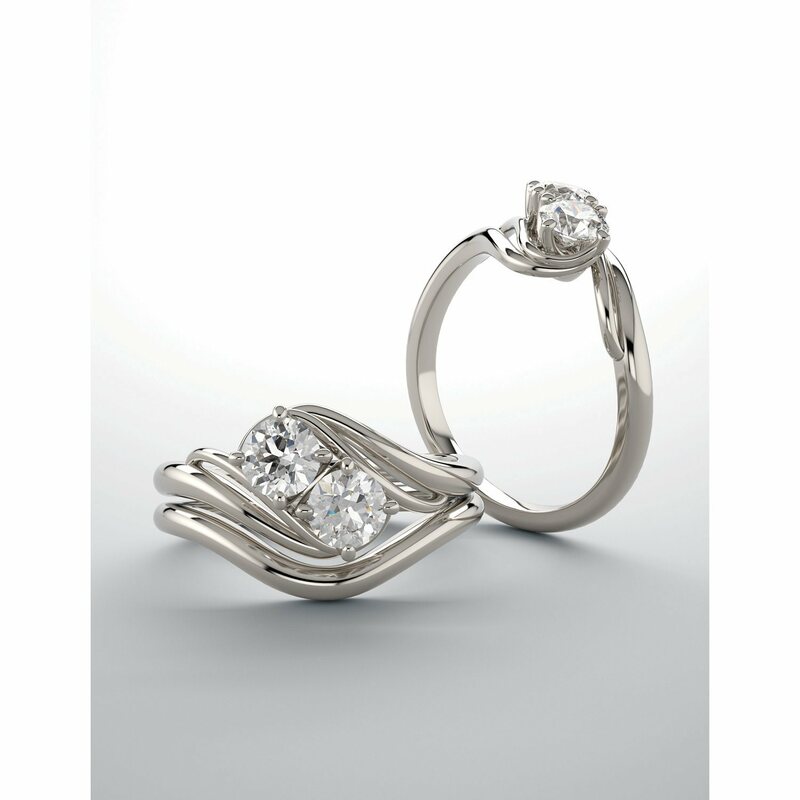 One diamond represents your partner and the other diamond represents you, both are set together in an inseparable way. These designs can be accented with diamonds or simply have a plain gold band along with your two diamonds. Either way it is sure to be unique to you and be a symbol of your everlasting love.